Last night, at the beautiful Mercer Warehouse, myself and my good friend Karmel made it out to the TEDx Edmonton Salon #4 on Food For Thought. 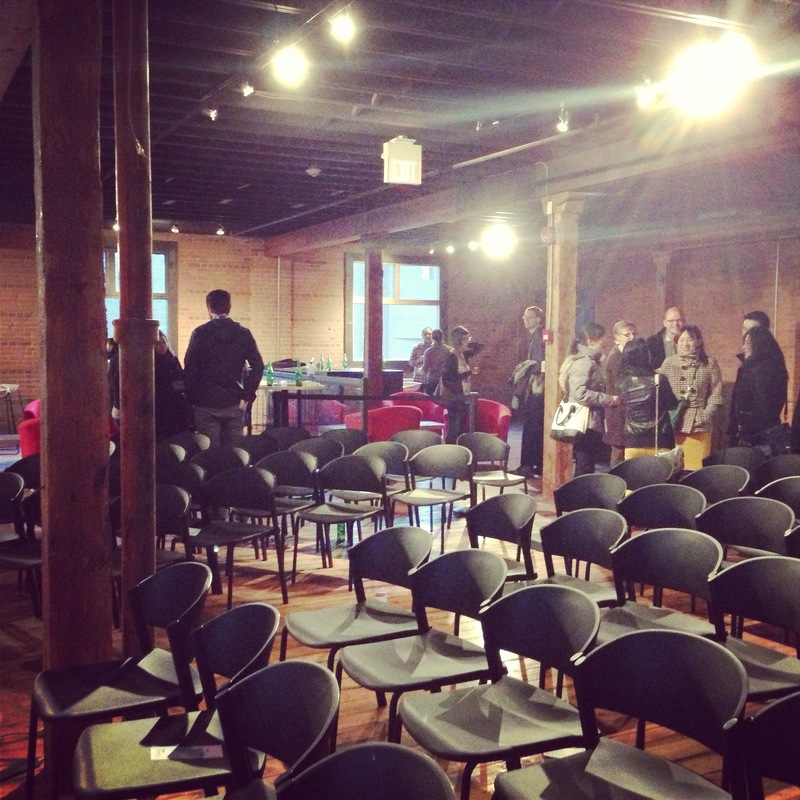 The loft setting housed hundreds of foodies awaiting to hear about the future of food. Upon arrival there were food samples provided by Pangea Deli (located north of Jasper Avenue on 104 Street) including an oat cookie sweetened with dates, pork sausage, and pearl barley salad, followed by complimentary bottles of Steam Whistle. We settled into the middle of the pack and started to recognize a number of faces. Tom Lynch-Staunton has a strong practical and lifetime experience in the livestock industry. Before joining Livestock Gentec, he and his brother co-managed the family-owned Antelope Butte Ranch (est. 1885), a mixed 1,000 head cow/calf operation in southern Alberta. The Antelope Butte Ranch has been genetically improving its herd for increased efficiency and profitability since the 1980s. Mr. Lynch-Staunton received a Bachelor’s in Marketing and International Business from Simon Fraser University, and completed a diploma in Spanish in Mexico. Mr. Lynch-Staunton is Livestock Gentec’s Director of Industry Relations. His role is to work closely with the executive team to create connections with various sectors of the livestock industry for collaborative projects, two-way communications and genomics education. He is also Director of Marketing for Delta Genomics, and assists in business and market development for both Livestock Gentec and Delta. Meghan Dear is the founder of Localize, an Edmonton-based start-up that is testing ways to strengthen the relationship that consumers have with food producers through an innovative approach to grocery shelf and product labelling. She has a degree in Biology and Agriculture, and has worked in the management of analytics research in food and agriculture for the Government of Alberta. She has also worked for the Government of Ghana to develop and scale a unique platform to share crop market information with small scale farmers using private and public sector data, seeing first-hand that information can be a tool to empower both consumers and farmers to make better decisions. Localize’s shelf-labelling initiative is now operating in 42 Alberta grocery stores, and is expanding rapidly. Carol Neuman spent her childhood on a farm near Pigeon Lake where she was immersed in the then-unglamorous local food scene: weeding her mothers’ garden, raising rabbits and, occasionally, milking cows. Today, she returns to her roots as founder of the 10 Mile Meal. Through local sourcing of ingredients and inspiration, the 10 Mile Meal celebrates the culinary and cultural traditions of farming communities in the greater Edmonton region. Some of the most memorable discussion settled upon the differentiation of genetic or genomic selection and genetically modified organisms, which cuisines should be considered traditional in Alberta (Aboriginal vs Settler), and how to rate the level of “local” in food products. 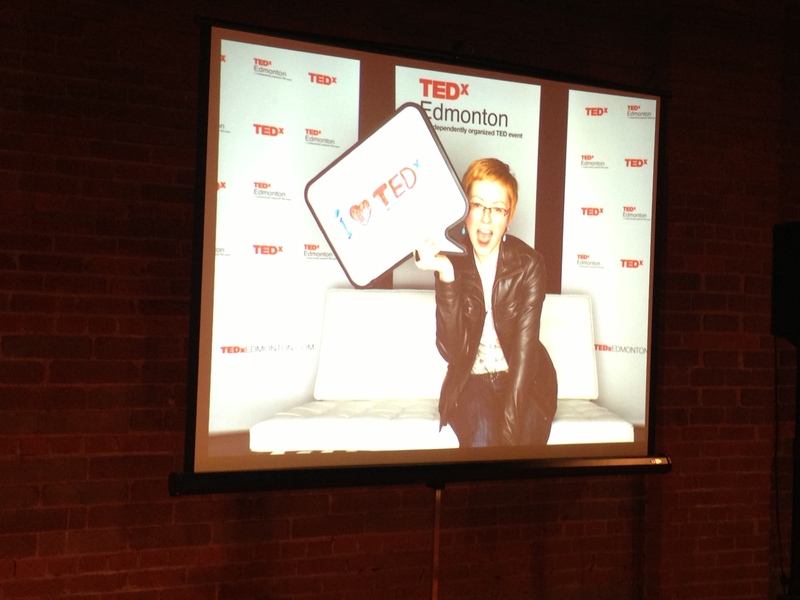 Overall, I had a great night surrounded by like minded Edmontonian’s engaging in discussion about food. PS. I can’t wait to check out Pangea! Small samples make it hard to form a solid opinion but they showed a lot of tasty promise.